In a new interview, Microsoft founder Bill Gates reveals he wrote a letter to Steve Jobs before he passed away, and the letter apparently meant so much to Jobs that he kept it at his bedside. Gates spoke this week with students at a school in South London, where he acknowledged that Jobs had said critical things about him in the past. But according to The Telegraph, Gates said the two were comfortable with one another by the time Jobs became gravely ill late last year. "There was no peace to make. We were not at war," Gates said. "We made great products, and competition was always a positive thing." In fact, Gates said he received a phone call from Jobs's wife, Laurene Powell Jobs, about negative comments her husband had made to biographer Walter Isaacson, in which he called Gates a "basically unimaginative person who "has never invented anything." Gates said Jobs's wife told him that Isaacson's book didn't "paint a picture of the mutual respect" the two had for one another. 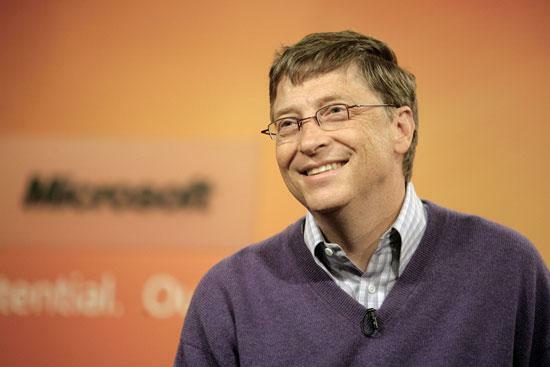 Gates also revealed that he wrote a letter to Jobs when his death was imminent, in which he told the Apple co founder "he should feel great about what he had done and the company he had built." Gates also wrote about Jobs's kids, who he had gotten to know. Jobs's wife reportedly told Gates that Jobs appreciated the letter, and even kept it at his bedside. Gates's latest comments come only days after he spoke with Nightline about Jobs, as well as his own philanthropy and efforts to eradicate diseases like malaria. Gates said in that interview that it was strange to have someone as "vibrant" as Jobs die so young.